Emil Simiu, PE, PhD, is a NIST Fellow and a Fellow at the American Society of Civil Engineers. He served as chairman of its Committee on Wind Effects, Committee on Dynamic Effects, and Committee on the Reliability of Offshore Structures; as senior structural engineer with Severud Associates and Ammann & Whitney, Inc.; and as distinguished research professor at Florida International University's International Hurricane Research Center. 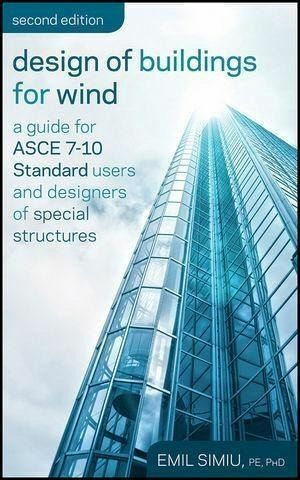 Also a distinguished member of the ASCE Standard Committee on Loads, he was a recipient of the Federal Engineer of the Year award from the National Society of Professional Engineers, and of the 2006 Japan Association for Wind Engineering Prize, given to the outstanding wind engineering publication of the year, for the first edition of Design of Buildings and Bridges for Wind. In addition, Dr. Simiu is the coauthor of Wind Effects on Structures, Third Edition (Wiley).